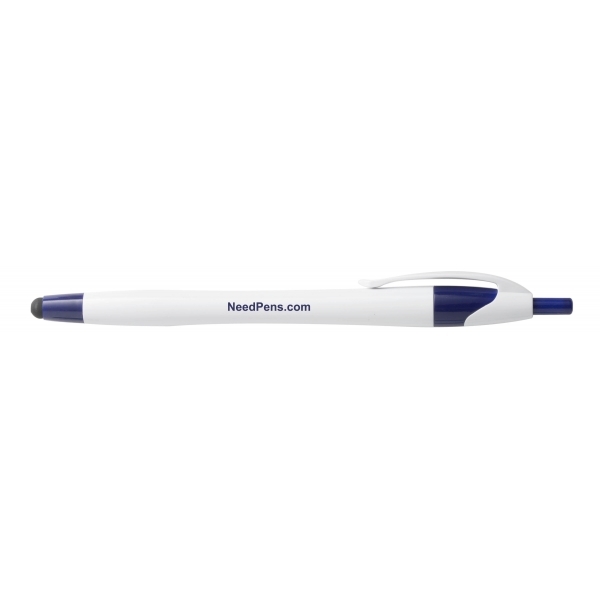 With its curvaceous contoured body, this retractable stylus pen has become one of the most popular pens in the advertising industry! 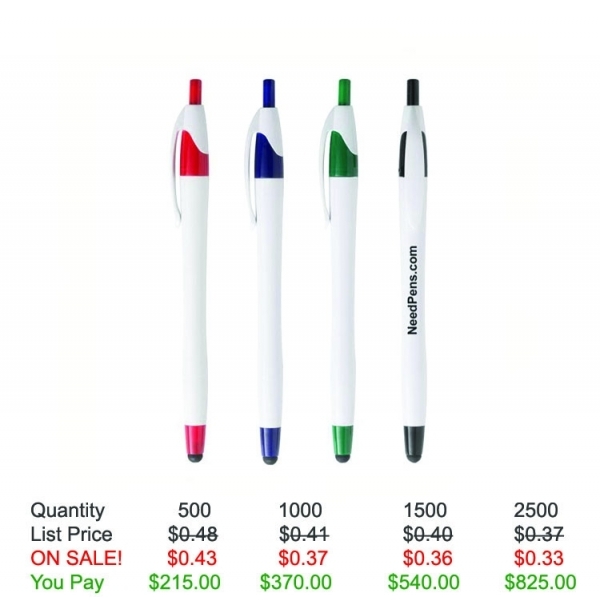 Offered in several color choices, this pen includes a medium point black ink refill. With its impressive hourglass shaped barrel and excellent stylus tip, you can't go wrong with this style. 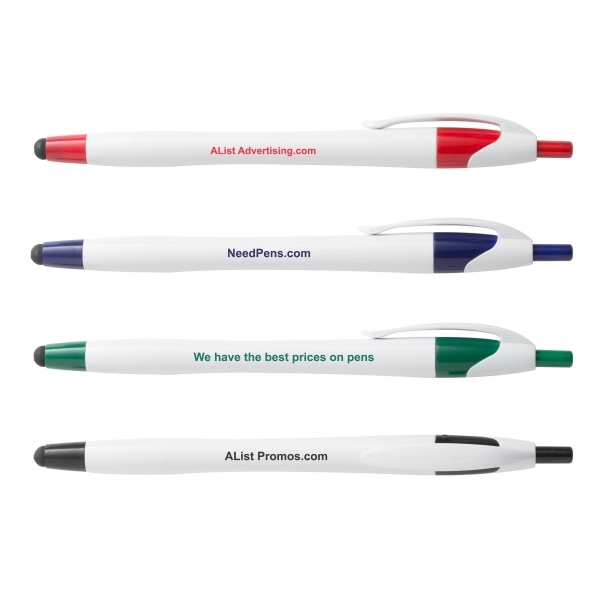 Add your company logo or custom message and hand them out during trade shows, conventions and tech promotions! 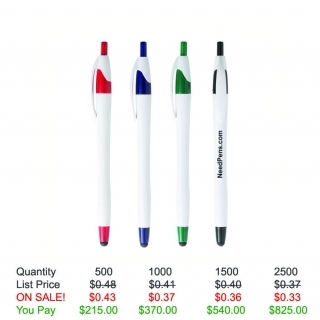 Save on our Custom Pens with Free setup, Free rush service, Free Artwork and Free Shipping.